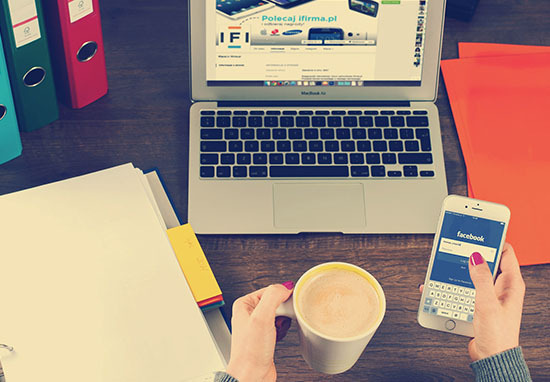 Viral videos offer us a tiny snippet of information regarding someone else’s life that we wouldn’t necessarily have access to without the internet. But that’s just what they are – a small glimpse of someone else’s reality. Without the full story, we’ll never be able to have a true understanding of what’s going on behind closed doors. Just because we think we know what’s happening in the short clip that’s suddenly all over our timelines and news feeds, doesn’t mean we know the whole truth. Which is why when a video of a ‘crazy turtle’ spinning around in the water just after it was born went viral two years ago, it should have been taken with a pinch of salt. 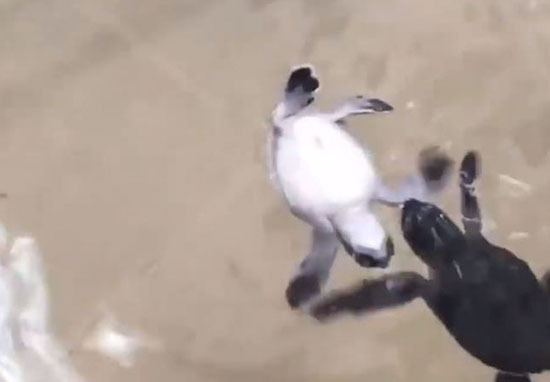 Shortly after it got posted on Facebook in 2017, the video – taken at a turtle sanctuary in Mexico – went viral attracting hundreds of thousands of likes and almost the same number of shares and comments. You’d be lying if you said this wasn’t something you’ve done before. Well, I would be anyway; as soon as I see an adorable animal video pop up on my feed, I tag my mates in it straightaway without thinking about what’s actually going on in the video. And why would we? We take what we see on social media at face value; a cute video of an animal should be adorable, while a hilarious video of someone falling over is just that – hilarious. We tend not to give a second thought as to whether the person or animal in the video is alright, because we haven’t been told otherwise. So we just assume the picture or video in question is the light-hearted piece of content it’s been presented to us as. But if this turtle video proves anything, it’s we should never take viral videos at face value. Because rather than showing a happy, cute turtle who doesn’t really know what he’s doing, the video actually depicts a much darker reality. 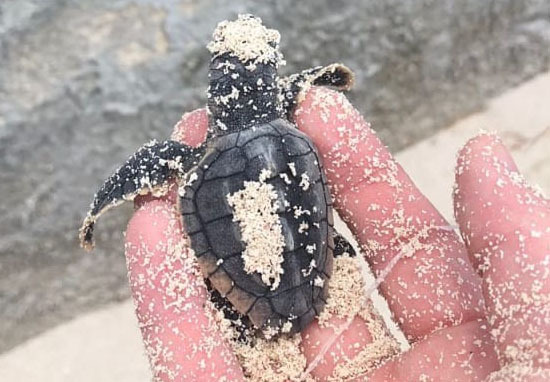 UNILAD spoke to Kaiulani Creamer Shorey, 27, who volunteers at the facility the turtle was born at, Tortugranja in Mexico. She told us how, shortly after the turtle was born, it had to be euthanised to end its suffering. 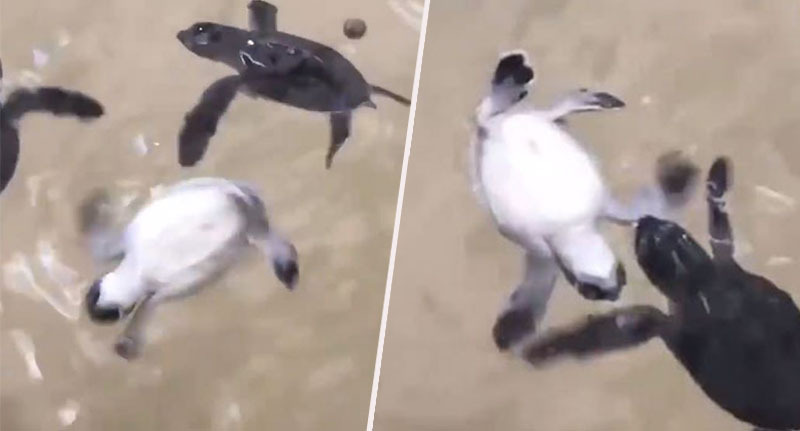 Instead of being a ‘fun spinning turtle’ as the internet so quickly decided it was, the turtle in question was actually suffering with a severe neurological problem which prevented him from fully controlling his flippers. As such, he was unable to right himself in the water and so couldn’t effectively breathe air. If released into the wild, he would have rapidly tired and drowned – most likely within the hour. To stop the turtle’s suffering and to ensure he didn’t serve as a ‘purpose’ in feeding predators, Kaiulani and her team had to euthanise the turtle a mere few hours after he was born. 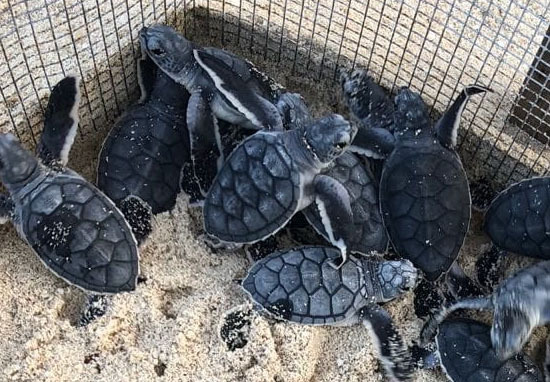 Kaiulani, from Isla Mujeres, Mexico, told UNILAD the ‘clutch’ of turtles hatched the morning the video in question was filmed, with between 120 and 170 babies emerging from the sand at the same time. The hatchling in the video was only a few hours old when it was filmed. In the pile of awkward flapping babies (they really are not designed for land) it was impossible to tell that the individual’s behaviour was abnormal. Only an hour or so after the day’s hatchlings were placed in the nursery pools, staff went around to do the morning feed and spotted the turtle. They immediately moved it to our hospital room where we carefully assessed it. The team deemed it unnecessary to allow the animal to continue to suffer until its drawn-out death inevitably occurred, and euthanised him – ‘affording him every kindness we could’ – shortly afterwards. Kaiulani, who also works as a scuba diving instructor and whale shark guide, is trained as a vet and has been helping with turtle releases since she was just two years old. The sanctuary Kaiulani volunteers at, Tortugranja, protects turtle eggs until they hatch, keeping them under a 24 hour guard to keep human poachers away. The eggs are buried in chicken wire nest-guards until they hatch approximately 60 days later. At this point, around 150 babies emerge from the nests and are transferred to the sanctuary’s nursery pools until nightfall when they are released on-mass. This is because the more babies enter the sea together, the more will survive. 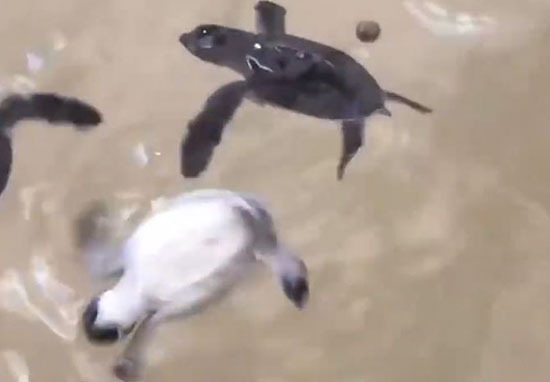 Unfortunately though, the turtle in the video could not be released with his brothers and sisters because he would most likely have drowned within the hour, or become prey. Kaiulani admits she’s been chasing down the viral video every time it resurfaces, in an attempt to finally put the truth out there and educate people about the dangers of misinterpreting things we see on the internet. For those trained in animal welfare, the animal’s distress is very obvious in the video, which makes it upsetting to watch once you have that information. But also, the video shows only a symptom – loss of mobility control – which without further examination does not have a single clear cause, leading many to speculate when they have no context. The comment section was split between ‘omg cutest thing ever!!!! Happy turtle!! !’ And ‘that turtle has a bacterial infection because that place is abusive to turtles!!!! !’ Both extremes of misinformation can be detrimental to the work the centre does, as well as to animal welfare as a whole. I firmly believe that education is the key to conservation and preventing the spread of misinformation is important to me, so it was important to set the record straight. Once you know the turtle is actually suffering and is desperately trying to take a breath each time it rolls over, the video becomes heartbreakingly difficult to watch. The important lesson to take from this though regards anthropomorphism, which is the attribution of human characteristics or behaviour to an animal or object. Kaiulani says when we do this, we can easily misinterpret animals who are in distress as ‘happy’ – as is the case in this video. Anthropomorphism also applies in the reverse situation, whereby we misinterpret normal behaviour in an animal as ‘distressed’. The 27-year-old says both of these hinder animal welfare and should be something everyone takes into account when watching viral videos online, as it is rife. I’ll hold my hands up, I’m guilty of doing exactly that. Whenever I scroll past a video of an animal that’s gone viral, I’ll make assumptions about it without having any context whatsoever. However, now I know a supposedly ‘adorable’ clumsy cat, or a ‘cute’ dithering pup could actually be something much more sinister, I’ll definitely be making a conscious effort to read between the lines. So next time you’re scrolling and see something you think isn’t right, reach out to someone. It could help save an animal’s life.